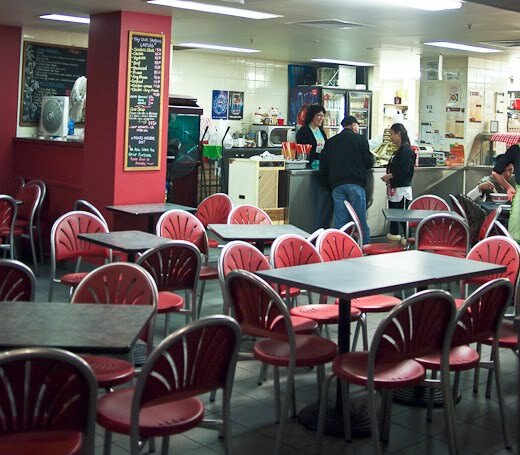 At last we try the famous har mee at Malaysian Chinese Takeaway in Hunter Street, City. We are recent converts to the religion of har mee: prawn noodle soup made with prawn stock, two types of noodles, prawns, pork and whatever. 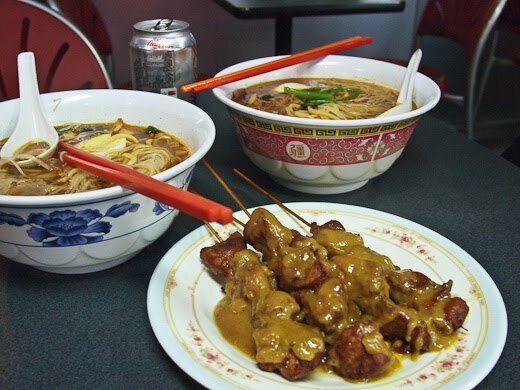 We heard the har mee here is one of the best in town. We liked it though it didn't blow our little minds like the har mee at Singapore Shiok with it's fresh super prawnie stock. We will come back at lunchtime to give it another go, we can't expect genius five minutes from closing time. 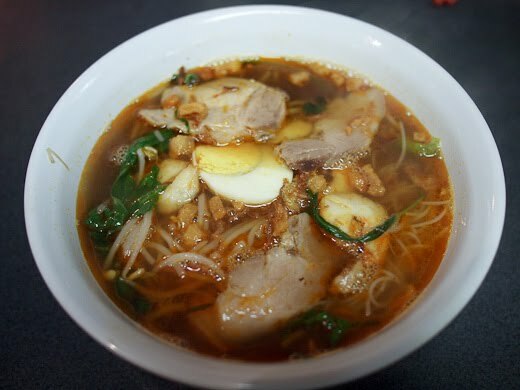 We just love the taste and texture of two types of noodle in one soup. We also tried some chicken satays on the side: big chunks of chicken with a very sweet peanut sauce. 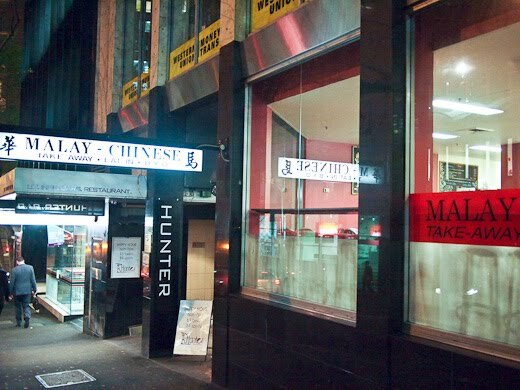 Malaysian Chinese Takeway has been doing their thing for over 20 years in various locations in the city. 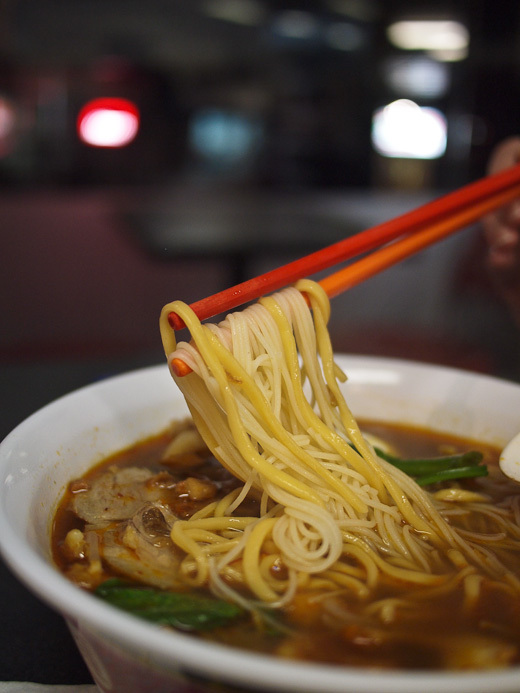 They have a legion of longtime fans, the laksa seems to be a big favourite. BACK AGAIN IN DECEMBER 12 - HOW DIFFERENT THIS PLACE IS AT LUNCHTIME, IT'S AWESOME! Chicken laksa - around $8.50. Lovely Malaysian curry flavours, beautiful colours and a nice chili kick. This is the first laksa Shawn has really enjoyed in a long time. This place is fantastic at lunchtime, very busy with a happy vibe, love it! 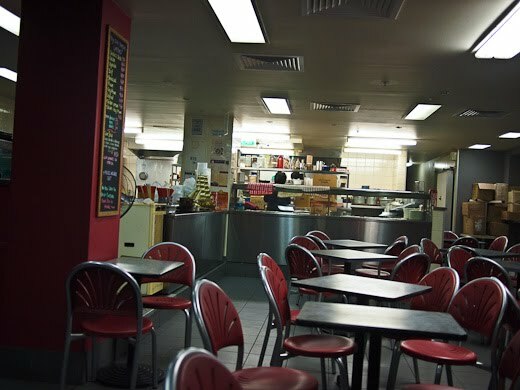 Malaysian Chinese Takeaway is at Shop 1 50-58 Hunter Street, City. Open 11am-7.30pm weekdays and 11am - 6pm on Saturdays. Ph 9231 6788. As I walked into town this piece of creative littering stuck to the walls of the old Carlton United Brewery made me smile. I love the food here especially the Laksa. I just wish I live or work closer to the city so I can have my fix.